Embattled Deputy Attorney General Rod Rosenstein has agreed to meet with House Republicans next week to explain reports he allegedly suggested secretly recording President Donald Trump and raised invoking the 25th Amendment to have him removed from office as unfit, sources told ABC News on Friday. House Oversight Committee chairman Rep. Bob Goodlatte, R-Va., invited Rosenstein to meet with House Republicans at some point over the next week or so. In a conversation with Goodlatte late Thursday, Rosenstein agreed, sources familiar with the matter said. Rosenstein’s future appeared to be jeopardy last week following the allegations reported by ABC News and other outlets that, at a May 2017 meeting between Rosenstein and then-acting FBI Director Andrew McCabe, Rosenstein suggested McCabe or others wear a wire when speaking with the president, according to memos McCabe made of the conversation, sources familiar with them told ABC News. The meeting took place a week after President Donald Trump had fired James Comey as FBI director, the sources said. Additionally, sources told ABC News that, according to the memos, Rosenstein told McCabe he could recruit members of the president’s Cabinet to help invoke the 25th Amendment. Rosenstein said he believed he would be able to persuade Attorney General Jeff Sessions and then-Homeland Security Secretary John Kelly to sign on, according to the sources. McCabe’s memos have since been subpoenaed by Goodlatte. In a statement on Friday, Rosenstein insisted he "never pursued or authorized recording the President and any suggestion that I have ever advocated for the removal of the President is absolutely false." The coming week is shaping up to be a busy and consequential one for Rosenstein, who, in addition to his planned meeting with House Republicans, is scheduled to sit down with President Trump at the White House. Originally scheduled for Thursday, the White House said the president put off the meeting until next week so it wouldn’t distract from Christine Blasey Ford's testimony before the Senate Judiciary Committee. Republicans on Capitol Hill have previously targeted Rosenstein in their criticism of the Justice Department’s handling of the Russia probe, going so far as to introduce articles of impeachment. 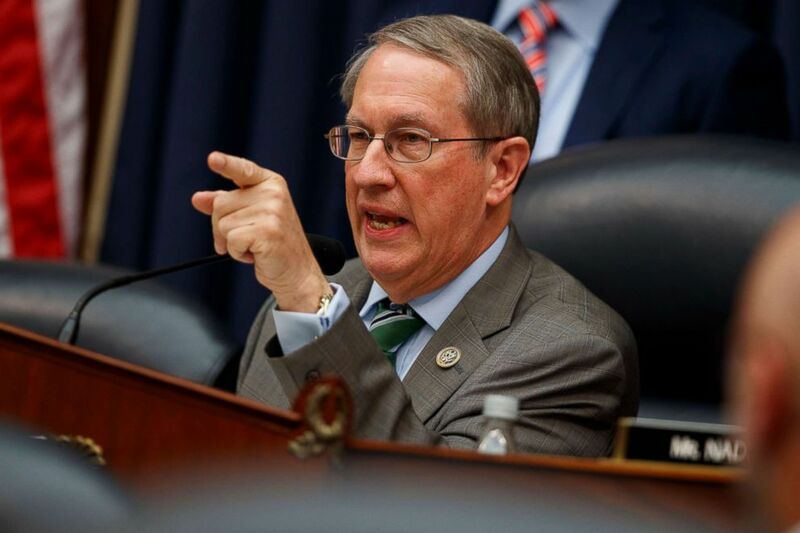 Members of the conservative Freedom Caucus have accused the Justice Department of hiding investigative information from Congress, abusing the Federal Intelligence Surveillance Act, and failing to comply with subpoenas. The House is now out of session until November, so any votes on impeachment would have to wait until after the midterm elections.